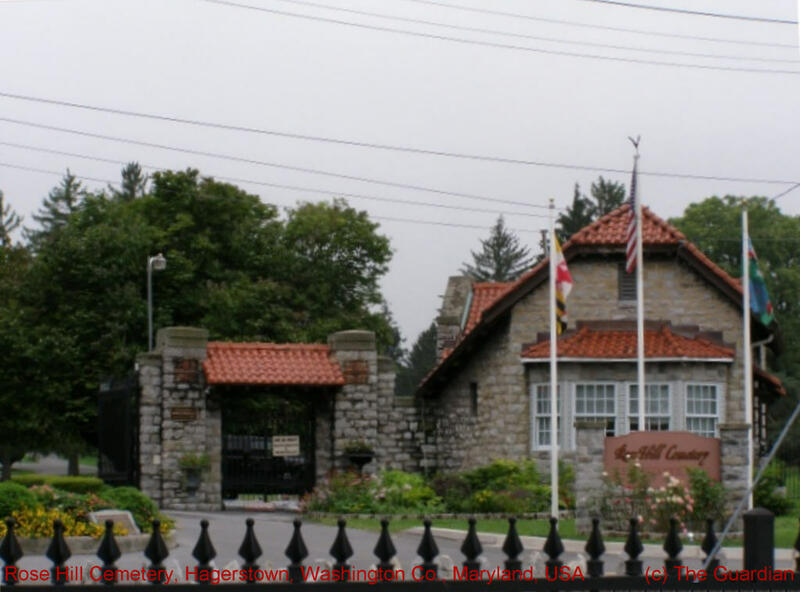 The oldest public cemetery in Washington County, Maryland, it originated in 1866. The graves may be found here of soldiers from at least half a dozen wars, not to mention Governors, Senators and Congressmen. From less than thirty original acres Rose Hill has expanded today to over 100 acres. The name comes from the original land grant by the King of England during Colonial Times to Wroe family. The home which was located on a hill was known as "Wroe Hill." This later became "Rose Hill". There is also the large Rose Hill Mausoleum located on the grounds. A separate cemetery, Washington Confederate Cemetery, is located within Rose Hill and contains the graves of over 2000 Confederate soldiers who died in the nearby battles of Antietam and South Mountain.